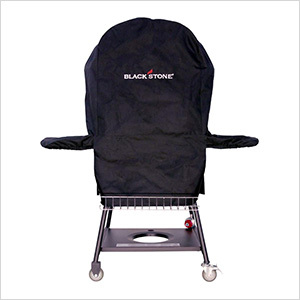 Cover your Blackstone Patio Pizza Oven when not in use to help protect it from the elements and keep it clean for cooking. Made with weather resistant, double layer canvas. Custom designed to fit the Blackstone Patio Oven, with elastic bands to secure coverage around the shelves. Reinforced corners ensure that the cover will stay in good condition all year round.